The next time some llamas are running wild and your smartphone screen just won't do for sharing all the action with your friends, you can whip a projector out of your pocket for instant big-screen glory. The aptly named Lenovo Pocket Projector snaps onto any Android phone and projects images or video up to 110 inches from corner to corner. 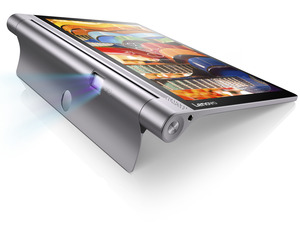 Lenovo announced the device Tuesday at Mobile World Congress in Barcelona. 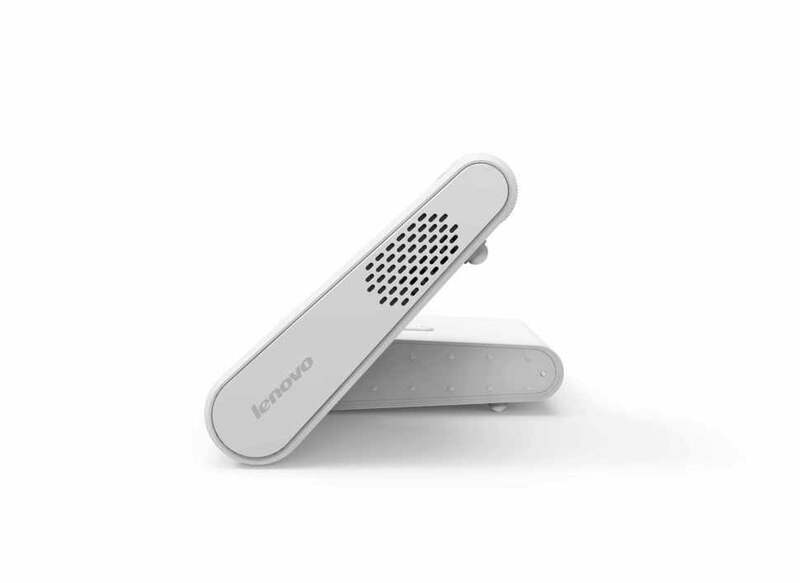 Lenovo's Pocket Projector has speakers on both sides and comes in both white and gray color schemes. The projector displays still images and video at a resolution of 854x480, so it won't compete with a High Definition display—especially when stretched to its 110-inch maximum. It supports both 4:3 and 16:10 aspect ratios and has two built-in 0.5W speakers. The battery lasts 2.5 hours, so it could even get through a feature-length film, but it will need recharging afterwards. The Lenovo Pocket Projector (shown here in gray) has a 50-lumen optical engine. The design is rather smart, with the bottom side flat while you can tilt the projector bit up to 90 degrees. The LED light cranks out 50 lumens of brightness, with a contrast ratio of 1,000:1. 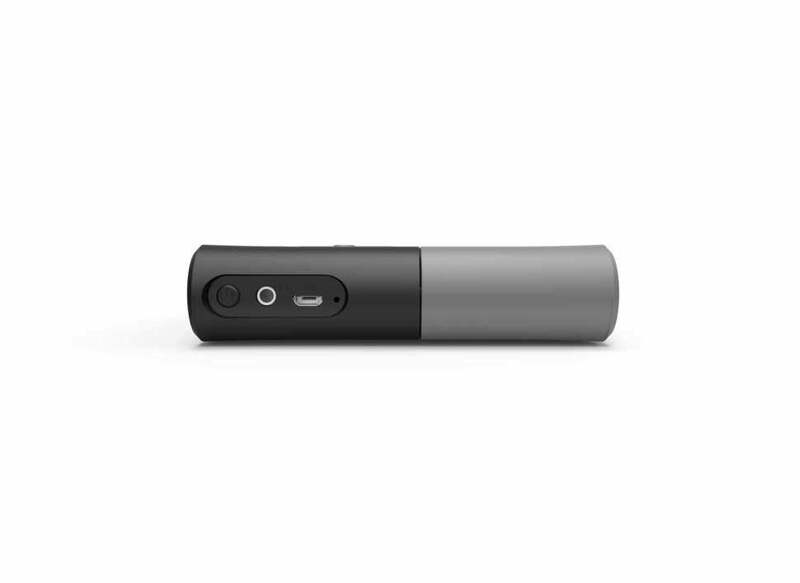 You can plug it in to your phone with a MicroUSB cable or wirelessly through DLNA or Miracast. Or if you'd rather, you can skip the phone and slap in an SD card with up to 32GB of storage space. The optics side of the Lenovo Pocket Projector (shown here in white) tilts from 0 to 90 degrees. The projector measures 104mm by 25mm by 100mm, so it may not exactly be a comfortable fit in the pocket, but at least it's substantially smaller than the standard projector. If you want to check one out, it'll be available in May for $250. Why this matters: Lenovo is really innovating in the projector space, as it also recently unveiled the Yoga Tablet 2 Pro, which doubles as a projector. 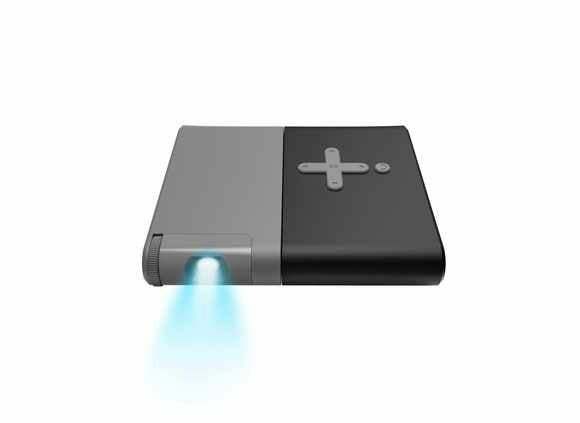 The Lenovo Pocket Projector could also be well received in the business world, as it ensures you always have a projector ready to go. Business is almost a better fit for it, since at $250, it'd be a pricey toy.